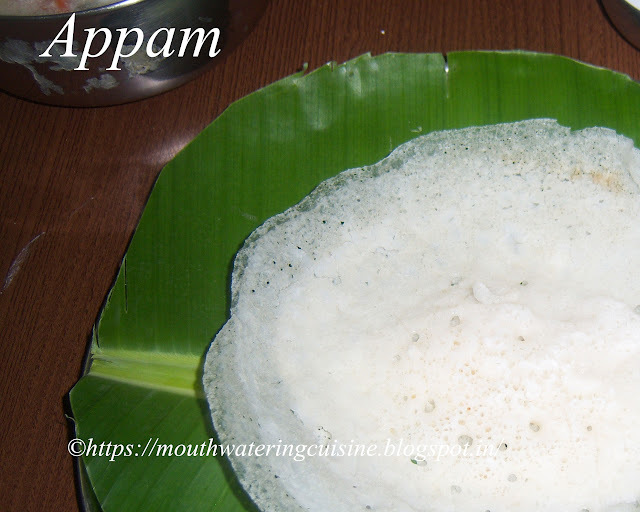 Appam is a Kerala recipe, it is made with rice batter. Appams are served with vegetable stew. I have tasted appam for the first time in a five star restaurant, the chef was making them there in the dining hall itself. He is serving them instantly, hot and with a crunchy outer layer. They are very tasty and the stew they served is also very tasty. They are very courteous to share their recipe with customers. He said the recipe which he is sharing is authentic Kerala style appam and stew. 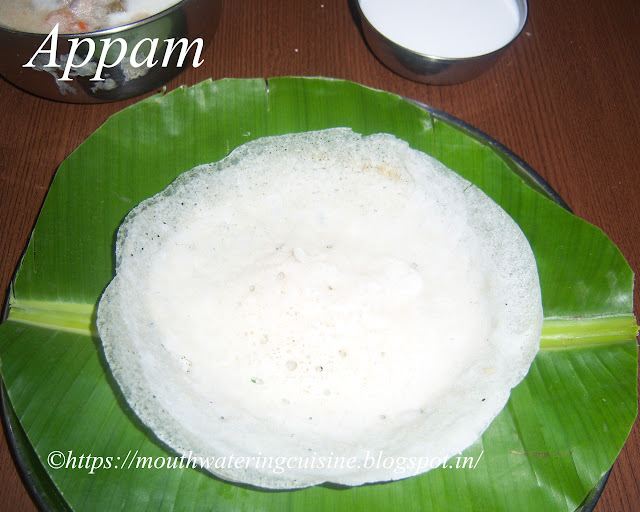 Some people mix other ingredients also like fenugreek seeds, flattened rice and some add black gram also but the original Kerala appam is made only with regular rice and boiled rice. Adding yeast is a substitute to toddy which ferments the batter fast and makes it soggier. Coconut water or milk is a must in the recipe. This can be served as breakfast or dinner dish. We liked it in dinner time. I planned it accordingly, served them for dinner on a Saturday. So I have soaked the rice on Friday afternoon and grinded it in the night. Allow it to ferment for 24 hours. I could not take photos of them, so I am not posting step by step photos for now. When I make them again surely I will take photos and post them again. For now try the recipe and enjoy it. Wash and soak both rice for 4 to 5 hours. Grind them to a fine batter. Do not add too much water. Add maximum 1/2 cup of water. Add 1/4 teaspoon of sugar and dry yeast to 1/4 cup of luke warm water. Let it stand for 10 minutes to activate. Add this yeast mixture to the batter and mix well. Let this batter ferment for 24 hours. So we need to plan ahead to make this appam. After 20 hours we can stir well the batter and add salt, coconut water and sugar to it. The batter is ready by now we can use it any time. Coconut water is the clear liquid inside coconuts. Break the coconut to get water, hope I need not explain how to get it. Just break it into two halves carefully so that we can collect the liquid inside, into a bowl. Use this water or we can use coconut milk in its place. 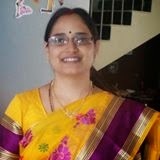 The batter should be in pouring consistency, thinner than dosa batter. If needed add little water. 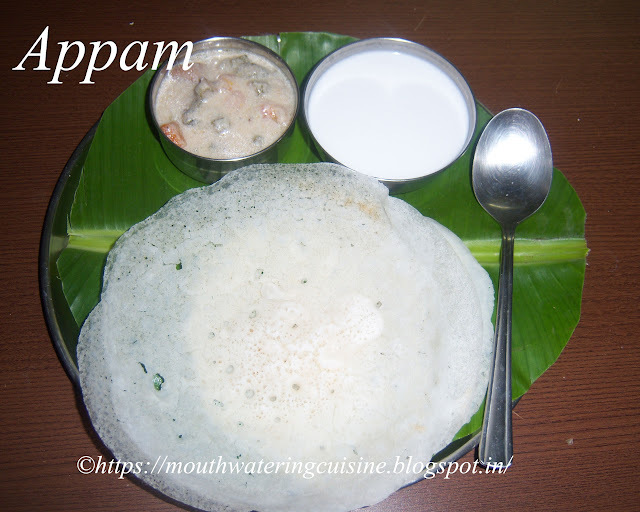 Heat non stick appam chatty or iron skillet appam chatty. Spread 1 Tablespoon oil over it and wipe it with a cloth to spread the oil properly all over the chatty. I used iron one. Do the same in that also. Lift the chatty off from the flame and hold it in a tilting position, pour ladle full of batter and make a circular motion immediately to get proper round shaped appam. Put this on the stove top, cook on a low flame on small burner. The batter will settle in the centre, while the edges form the holes on it. Cover and cook it for 2 minutes, once done appam will leave the edges automatically. Slowly with sharp edged knife or a spoon take out the appam. Cook for another minute to make more crispier. Serve hot appam with vegetable stew.